The small town low rise accommodation of Niseko offers spectacular, unobstructed views of the ski slopes and Mt Yotei with a refreshing and welcoming vibe that feels like a ‘tourist’ destination and more like a friendly village. A booming ski destination, Niseko accommodation offers a fantastic range of luxury ski-in ski-out apartment style hotels within easy walking distance of bars, cafes, restaurants and après ski entertainment as well as the beginner runs, chair lift and gondola. Many hotels also offer regular shuttle services to the ski fields, with 3 different drop off points allowing you to more easily experience the ski runs of Niseko. A luxury chalet and designer 5 bedroom home set in a breathtaking cliffside location, Glasshouse offers the most incredible views of Mt Yotei from its namesake floor-to-ceiling picture windows. Set on the lower-most boundary of the Lower Hirafu Village, Glasshouse is the ultimate alpine home boasting 5 bedrooms and 4 bathrooms spread across 277m² of split level open plan living. Featuring full kitchen and laundry facilities, oversized lounge with real fireplace and outdoor Jacuzzi, the home is a highly sought after accommodation option each season. Directly adjacent to the Niseko Village gondola base station, Hilton Niseko Village offers luxury accommodation just 2 hours from Chitose Airport. The ski in/ski out hotel allows visitors to reach the peak just seven minutes from their doorstep and is home to a fantastic range of onsite facilities. 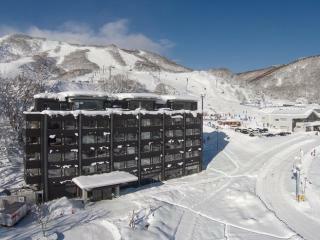 Situated at the south base of Mount Annupuri, the hotel is a premier ski in/ski out hotel just minutes from Milk Kobo. Home to one of Japan’s most legendary onsens, accommodation at the hotel enjoys views of Mount Yotei. Situated in the heart of the Hirafu village, Hyatt House Niseko offers luxury, self-catering accommodation just 600m from the Niseko Mountain Resort Grand Hirafu ski area. Boasting spectacular mountain views, the deluxe hotel exudes 5 star boutique ambiance and is home to a great range of restaurants and conveniences. Just a short stroll to the family lift, the hotel is only a 15 minute walk uphill to the Gondola or Ace Quad and features a free shuttle service to the top of the mountain throughout the day. Situated at the foot of the Niseko Mountain Resort Grand Hirafu, Ki Niseko offers ski-in ski-out boutique accommodation combining modern alpine charm with traditional Japanese sophistication. Surrounded by mountains, the hotel enjoys spectacular views of Mt Yotei and is just minutes from Niseko Higashiyama Ski Area and Lake Hangetsu Nature Park. Less than 100m from the mountain’s gondola, the hotel features an excellent range of onsite facilities including a shuttle service, dining options and traditional indoor/outdoor hot spring onsen baths. One of the most family friendly accommodation options in Niseko Hirafu, Snow Crystal offers modern elegance and all the comforts of contemporary resort-style living nestled at the base of the Family Ace chairlifts. Boasting immediate ski hill access, the property features an ideal ski-in ski-out position with quick and easy access to the ski school and slow-moving double chair lift. Home to cosy amenities, intuitive service and a convenient concierge and reception, Snow Crystal is just a short stroll from Hirafu’s many bars, restaurants and après ski social and entertainment options. 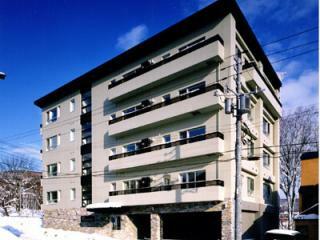 Located in Hirafu’s Middle Village, Terrazze is the most exclusive and luxurious address in Niseko. Just a short stroll from the dining and entertainment options of the Upper Village, the property also enjoys easy access to shuttle services and the Family Ace chair lifts. Specially designed with huge picture windows to offer the most exquisite views of the Niseko landscape and crowning glory, Mt Yotei. Having spared no expense, the property boasts an onsite reception, dedicated concierge service and the ultimate touches of luxury including under-floor heating, designer furnishings and a heated undercover car park. Elegantly blending a fusion of Japanese and western design, The Freshwater offers luxury apartment accommodation conveniently located on the main street of central Hirafu village. Capturing the essence of Niseko’s stunning natural environment, the resort reflects the beauty of the alpine trees and stream with rich timber and stone facades. Close to a variety of local convenience stores, bars and restaurants, The Freshwater enjoys spectacular views of Mt Yotei and the ski field and is just footsteps from the free shuttle stop. Located at the base of Mount Annupuri, The Green Leaf Niseko Village offers stylish accommodation just a 5 minute drive from the JR Niseko Train Station. 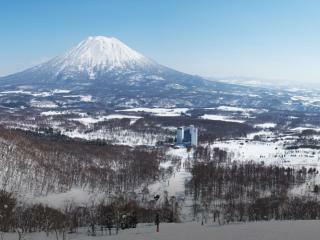 Offering ski-in ski-out access, the hotel is part of the Niseko Ski Resort Village and boasts beautiful views of the surrounding wilderness. Home to an excellent range of onsite facilities, the hotel offers a complimentary shuttle service between Kutchan and Hirafu towns as well as a variety of winter activities including snowmobiles, snow rafting and even reindeer sledding. Offering immediate access to the ski lifts, The Setsumon offers luxury boutique apartment accommodation with a warm chalet vibe created by detailed timber and stone finishes. Boasting stunning night time views and alpine panoramas, The Setsumon is just a snowball’s throw from all the action yet worlds apart. Just a short stroll from the Family Ace chair lift and right next to a premium ski hire shop, The Setsumon is a designer home away from home within a short walk of a variety of authentic Japanese and western inspired dining options. The best ski-in ski-out location in Niseko, The Vale offers spacious, well-appointed apartment accommodation with views of the Family Ace ski run and the spectacular Mt Yotei. Home to a great range of onsite facilities, the luxurious resort is just 30m from the lifts and only 150m from the heart of Hirafu village. Featuring 2100 acres of stunning powder terrain right on your doorstep, The Vale offers gorgeous alpine vistas and all the comforts you need, designed to be your lavish home away from home.